Boston Startup Skit is a mobile app that lets you take your photos, and drawings and easily turn them into an animated story. The user doesn’t need to know a thing about animation. The app itself is all gesture based and easy for anyone with a little bit of mobile experience. Skit is a lot more than an animated gif creator you can take your photos and drawings, turn them into a story, whatever story you want. Then you can share them with the Skit community and all of your friends through your social channels. Once you’ve shared your animation, anyone can “remix” it and make it their own. You start with a blank canvas and Skit allows you to choose from art they provide for free or you can use your own photos and drawings from your iPad’s library. You can choose weather the photo or drawing is a character or a background, and the app provides you with tons of props as well. Robin Johnson and Max Woon the cofounders of Skit both have animation backgrounds. Johnson has experience working on the Medal of Honor franchise, among others, while at Electronic Arts. Woon tells Silicon Hills founder Laura Lorek that he also have gaming and animation in his background but became obsessed with this animation idea after watching the making of South Park. In the video interview at SiliconHills website, he talks about how the creators of Southpark would sit in a studio and do the script first and then the animators would get to work. Both Johnson and Woon wanted something easier and quicker to animate whatever the user wanted and to tell stories. After the user finishes creating a skit they can save it locally or share it via Facebook and Youtube. The team behind Skit launched it to the iTunes App store back in February and were chosen for the coveted last pitch position in the recent Techstars Cloud investor day pitches. 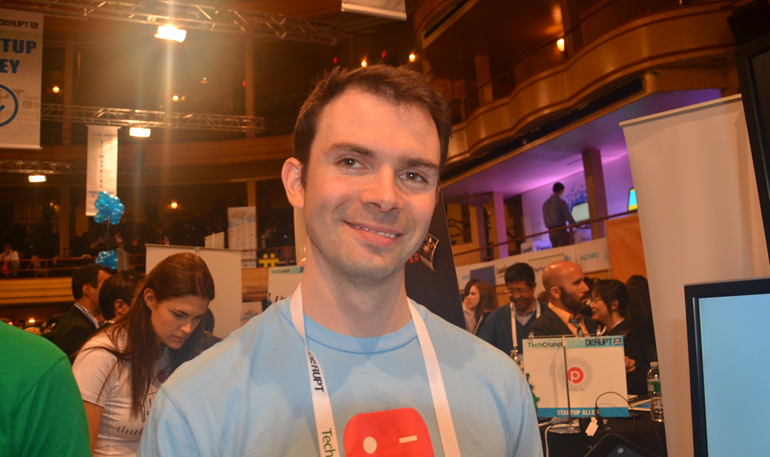 We’ve got more startup stories from TechCrunch Disrupt NY 2013 here.